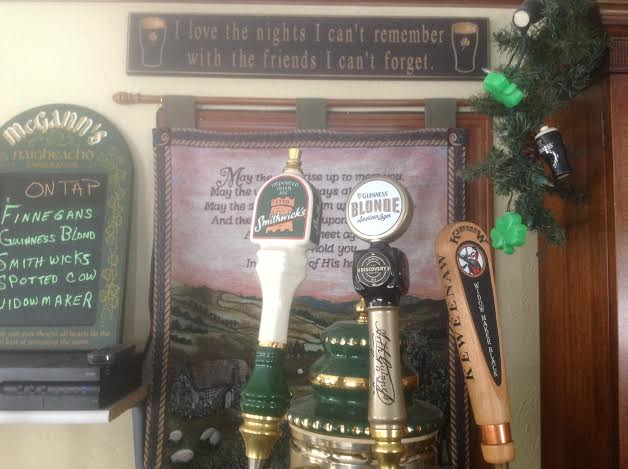 McGann’s provides a genuine Irish Pub ambiance with a cozy fireplace and outdoor patio. Serving select domestic and imported wines with a large selection of microbrew and imported beers. We also have a seasonal menu featuring pizza and appetizers. Our guests come to enjoy the art of leisure and after spending some time with us, they walk out the door having made new friends. Additionally, we have HDTV for sports and special events free WIFI.